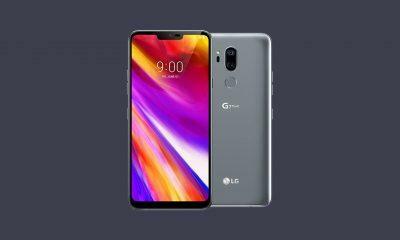 LG has finally unveiled its flagship for 2018 and the successor to the LG G6, in the form of the AI-powered LG G7 THINQ. The LG G7 ThinQ will take on the likes of the Galaxy S9, the Huawei P20 Pro, and the iPhone X. The device looks more like a highly refined version of the LG V30S, and it also builds upon the three main characteristics of it’s earlier premium line-up, that’s great camera now with AI support, great display, and impressive Audio, all are present on the LG G7 ThinQ. The LG G7 ThinQ is made of Ceramic, glass, and metal and feels like it’s V series cousin the LG V30. The front is dominated by a 6.1-inch 19:9 Quad-HD display but this time LG went with a super bright IPS LCD panel, instead of an AMOLED one, the bottom has a noticeable chin, but it is manageable. LG also added a white sub-pixel along with the standard RGB unit for better whites and to shame the AMOLED’s whites. Moreover, ThinQ features a Notch at the top which is very 2018 and with that notch you get the ear-piece and a front-facing camera. LG calls the notch a “New Second Screen.” While on the rear side of the phone, the G7 has a fingerprint scanner and above that you get those highly advance dual-cameras. 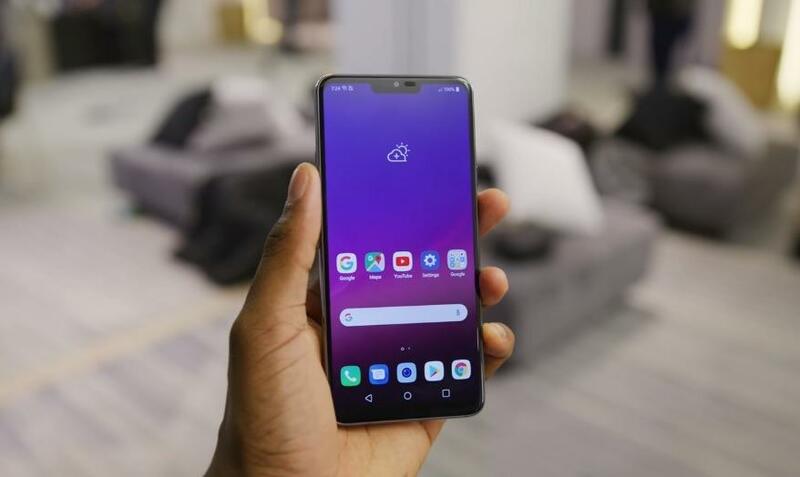 Under the hood, the LG G7 ThinQ packs the powerful Qualcomm Snapdragon 845 chip (Octa-Core @ 2.8GHz ), paired with 4GB of RAM and 64GB of internal storage and it also supports micro-sd card, and we also have a headphone jack, which features a 32-bit Hi-Fi quad DAC. The device also features the much needed IP68 water & dust proof abilities and also it posses MIL-STD 810G, which is military grade protection. At bottom side, the LG G7 packs super loud speakers with DTS audio support, for an immersive audio experience. 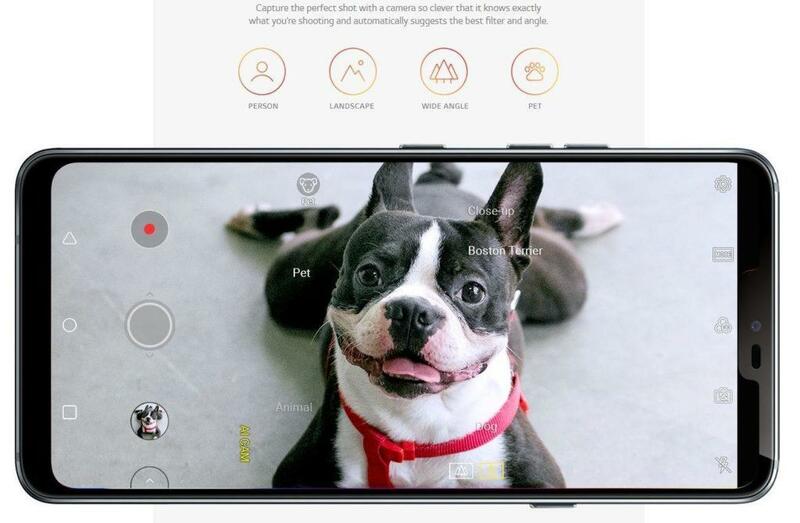 Image Courtesy: LG .comLG is sticking to their old guns here, as the G7 ThinQ has a dual 16 MP camera setup with a primary 16 MP sensor with an incredible f/1.6 aperture, while the secondary shooter is wide-angle sensor coming at f/1.9 aperture, assisted with a laser auto-focus and an LED flash. On the front, sitting within the notch, an 8 MP selfie snapper is present with f/1.9 aperture. But you miss on a selfie flash. The camera on the LG G7 has 80% of the AI stuff baked in, as it can detect scenes and suggests the best settings, angle and also filters matching the scene with the AI-CAM mode. 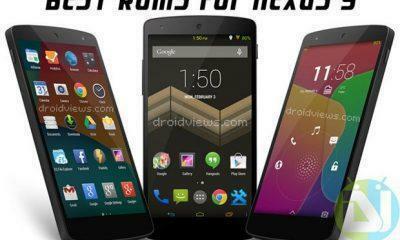 Moreover, you also have a dedicated portrait mode for the rear as well as for the front camera. 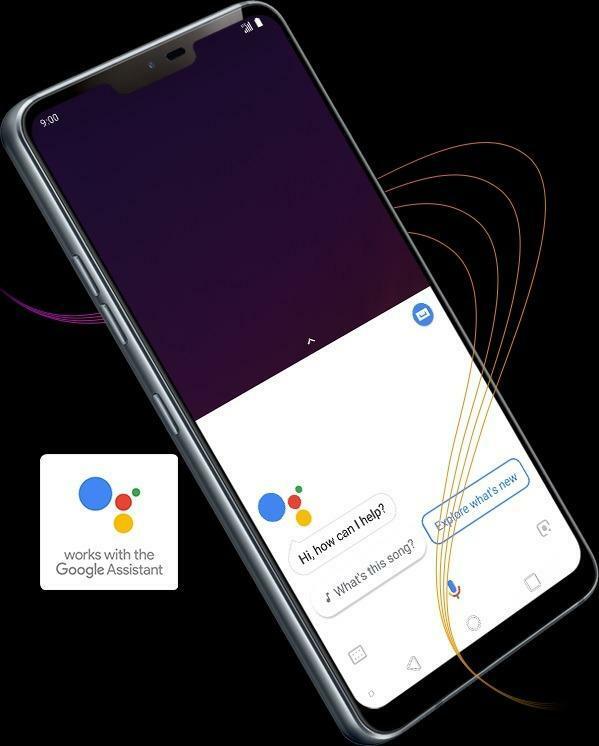 The LG G7 ThinQ runs on LG’s UX accompanied by AI Pack 2.0 based on Android Oreo 8.0, it also has a dedicated button on the left side, to trigger the Google Assistant, similar to what Samsung has for Bixby on the Galaxy S8. The handset also allows you to hide the notch and even apply different themes for it to decorate the area around the notch. The 3000mAh battery capacity on the LG G7 ThinQ may sound disappointing on paper, but in the real world usage, the results remain to be seen. Yes, it supports fast charging with QC 3.0 support, and also Wireless Charging is here this time on the G7 ThinQ. The LG G7 ThinQ will be up for pre-orders on 25th May on Sprint’s Network, while for the US Celluar the phone will go on sale on 1st June. Overall the LG G7 ThinQ ticks all the right boxes but is it enough to compete with the likes of the upcoming OnePlus 6 and the Motorola Moto Z3 2018 and even with the iPhone X 2018. Pricing is not revealed yet, but expect something between $600 to $800.